Buttermilk Mexican Chocolate Pound Cake is a wonderfully delicious chocolate cake with a cinnamon twist! 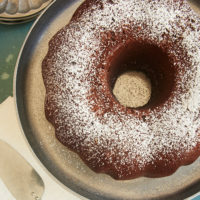 If you’re looking for something just a little different in the chocolate pound cake arena, then this Buttermilk Mexican Chocolate Pound Cake recipe may be just your thing. The combination of chocolate and cinnamon is one of my favorites, and it’s so, so good in this simple cake. This cake gets its rich chocolate flavor not just from plenty of cinnamon-spiced chocolate, but also from a good dose of chocolate syrup. That boosts the chocolate flavor in such a wonderful way. 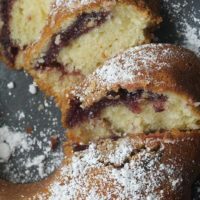 It’s not something I often keep in my kitchen, but it’s absolutely worth picking up some to make this fantastic cake. The first time I ever made this Buttermilk Mexican Chocolate Pound Cake was during a visit with a friend who shares my love of baking and cooking. At the time, we realized that we’d both marked the same recipe in Southern Living and took it as a sign that we had to make it immediately. We didn’t have access to Mexican chocolate at the time, but an easy substitution of semisweet chocolate plus cinnamon worked well. In an otherwise “normal” chocolate pound cake, that bit of cinnamon really gives the taste a boost. 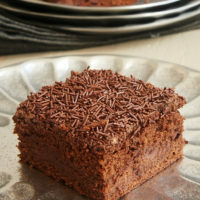 Since then, I’ve made this cake using Mexican chocolate, which has some spice already in it. 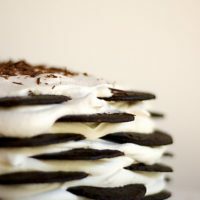 It’s fun to bake with something besides the usual ingredients, even if it’s just a different twist on chocolate. Having made it both ways, I can assure you, however, that you can achieve a very similar result with semisweet chocolate and cinnamon. 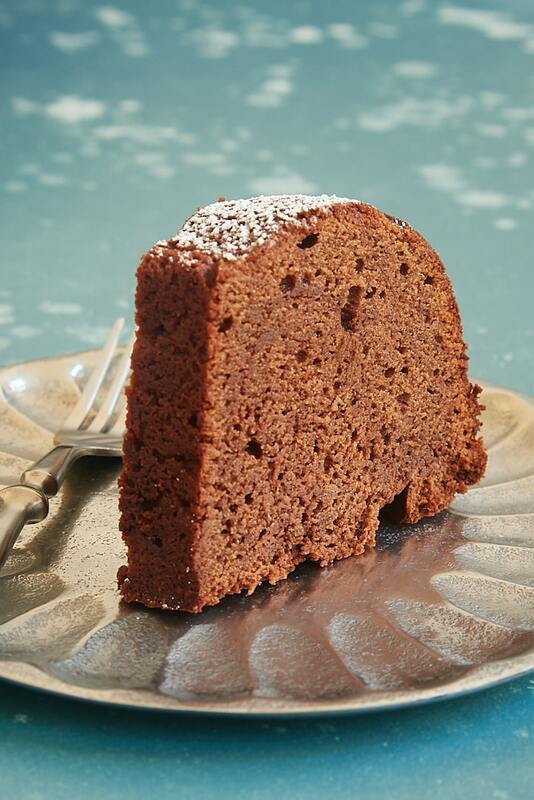 This cake is dense without being heavy, as some pound cakes can be. It’s really delicious, and the confectioners’ sugar garnish just finishes it perfectly and simply. 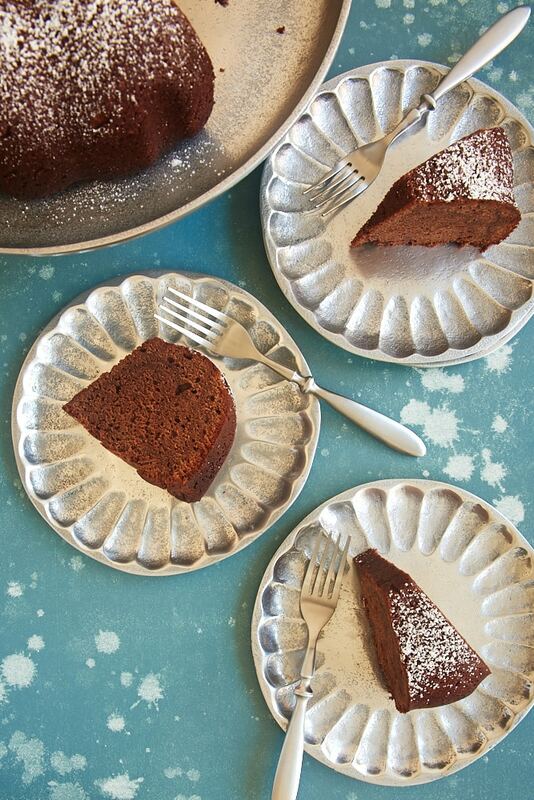 There is plenty of rich chocolate flavor in this cake without the need for a glaze. Find more pound cake recipes in the Recipe Index. Buttermilk Mexican Chocolate Pound Cake is a simple and delicious twist on classic chocolate pound cake. That little bit of spice makes this cake really special! Preheat oven to 325°F. 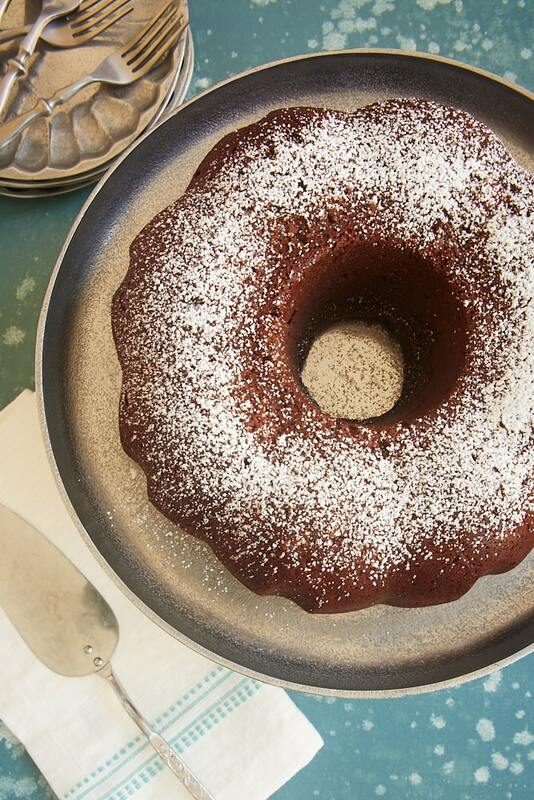 Generously grease a 12-cup Bundt pan or a 10-inch tube pan. Place the chocolate in a microwave-safe bowl. Heat at half-power in 30-second increments until the chocolate melts when stirred. Stir until smooth. Set aside to cool completely. Using an electric mixer on medium speed, beat the butter, sugar, and brown sugar until light and fluffy. Add the eggs, one at a time, mixing well after each addition. Stir in the melted chocolate, chocolate syrup, and vanilla. Reduce mixer speed to low. Add the flour mixture in three portions, alternating with two portions of buttermilk. Mix just until combined. Transfer the batter to the prepared pan. 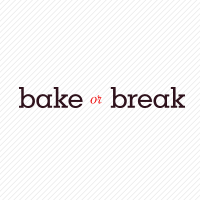 Bake for 1 hour to 1 hour 10 minutes, or until a pick inserted into the center of the cake comes out clean. Cool the cake in the pan for 10-15 minutes. Then transfer the cake to a wire rack to cool completely. *Look for Mexican chocolate with the international foods. Don’t confuse it with Mexican chocolate powders for making hot chocolate. If you don’t have access to Mexican chocolate, you can substitute semisweet chocolate plus 2 teaspoons ground cinnamon. Yay, a new post! This cake looks so good, and that’s so cool that you guys made it together! So glad to see you back! Baking with friends is a good thing and the cake sound delish. I clipped this SAME recipe! But someone ELSE beat me to it and brought it to work. This is one popular cake. I discovered your blog a several weeks ago and have been drooling over your archives ever since. Glad to hear there is more you want to share with us. I made Nick Malgieri’s chocolate chunk pecan crunch cake because of your entry. I have had his book Chocolate for a few years and there is a lot I bake from it, but that is a recipe that never registered with me. I have baked it 3 times now and it is a huge hit at home and work. Thanks! If this tastes as good as it sounds, I’m coming to your house for dessert. I don’t see cinnamon listed in the ingredients. Hi, Laurel. Mexican chocolate contains cinnamon and sometimes other spices. 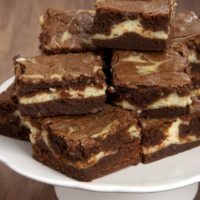 There’s a note in the text and in the recipe about substituting semisweet chocolate plus cinnamon. Im confused as to what “Mexican chocolate actually is? Abuelita or Ibarra chocolate??? Hi, Carmen. The recipe needs bars or discs of chocolate that can be chopped for melting. I’ve used Taza, but Nestle Abuelita discs or any dark chocolate with cinnamon should work. I love that bit of spice in Mexican chocolate! I bet it’s wonderful as hot chocolate.